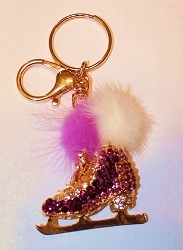 Carry your keys on fun - skate shaped, pink rhinestone key chain. 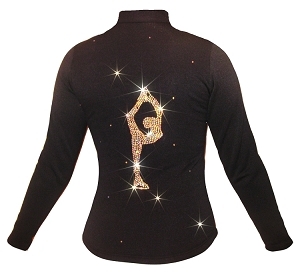 Sparkling with clear crystals rhinestones. 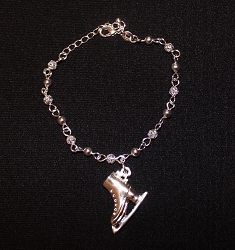 Size 1,7 x 1,5 inches. Add charming shine to your set of keys or offer it to someone special!